Purdue University Northwest has introduced Electronic Music Production to the course catalog which will be offered in the fall on its Hammond campus. 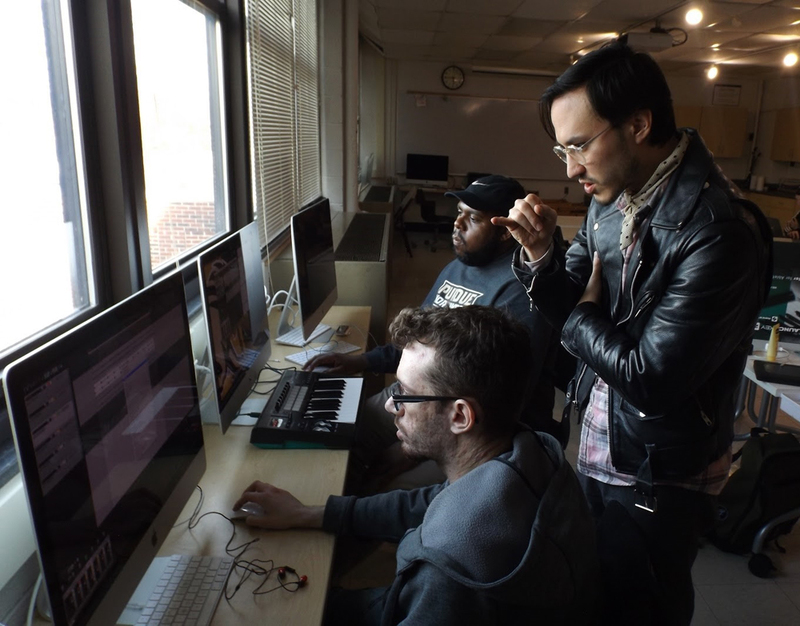 Visiting Instructor Michael Shallow teaches the class of 14 students how to use software and hardware controllers to make beats and create electronic music using industry-leading software like Reason and Reaper. Students learn how to create sounds from scratch, then make up a communal sample pack collection of the classes’ work. Using the sample pack and the digital software, students stack, layer and create progressions to produce a song. Broadcast student Ryan Stephens plans to use the teachings to add a personal touch to the music he uses to DJ. Along with creating the beat tape, students are also tasked with going out in the music community to interact with people who work in those spaces. Meetups for musicians, DJs and beat makers are recommended rather than live shows where the barrier between fan and musician is more prominent. The class has many beneficial aspects whether students have a broad sense of knowledge about music theory or not. Senior Brad Brooks had never worked with Reason but quickly caught on. “I’ve recommended the class to so many people. It’s a good stepping stone for anyone who wants to try to do music for a living,” said Brooks. Shallow’s love of art in all capacities has been shown to be unwavering with 15 years experience creating electronic music and teaching classes about visual communication and art appreciation. In October 2018, Shallow launched a music label, GESAMT. GESAMT is an independent electronic music label that connects the work of artists in different mediums to spark inspiration and collaboration. Since its launch, GESAMT has released three projects.